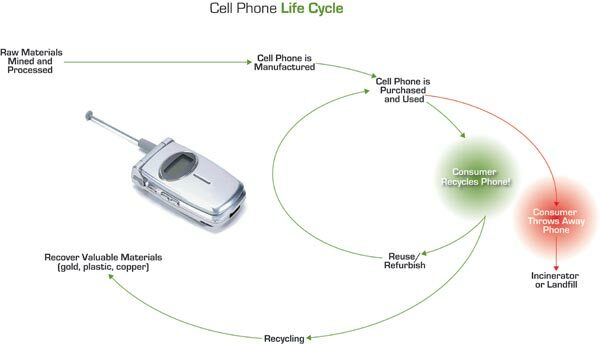 WHERE YOUR CELL PHONES GOES TO DIE! E-Waste (waste from used electronic items) is a growing problem and it doesn’t have to be. Instead of throwing away your old cell phone or computer, which means that it will end up in a landfill emitting toxins into the environment, recycle it. Your local Goodwill accepts electronics and cell phones as its e-recylcling program. Or you can easily recycle your cell phone for free by printing a postage-paid mailing label from The Environmental Media Associations web site, http://www.emaonline.org, and sending in up to 5 pounds of electronic leftovers.